Constructing or renovating your home is a major decision involving a lot of money, time and other resources. 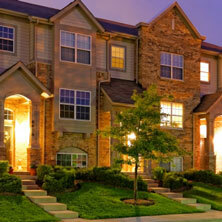 It may involve just a few minor changes in your building or constructing a new house with beautiful landscaping. Naturally, when you are trying to hire contractors to do the job, it is very important that you select the right person to carry out your work. Ideally, the person should be someone who is not only an experienced professional, but also well versed with Calgary rules, regulations and posses the license to work as prepaid contractors. It is mandatory as per the rules of the Government of Alberta that only a prepaid contractor can seek progress payments for works that they undertake. Therefore, when you intend to select a person, you have to bear in mind, the following important points. Does he possess a valid license? As mentioned earlier, all constructors must have a business license issued by a competent authority of the Government of Calgary. Those who do not possess it are not permitted to engage in construction activities. Does he have credible references? Before entrusting the work to a contractor, seek details about the past contracts that he had taken up with proof of customer satisfaction being made available. 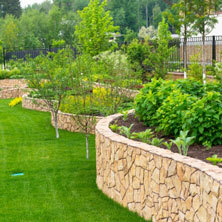 Whether he has the experience to construct a house or the aesthetic sense to do landscaping. Quite often, we ignore this aspect owing to the glib sales talk of the constructor. We have a tendency to assume that he is a competent person and so fail to take look for references. Does he have insurance coverage? Construction is a hazardous activity. There are always chances of accidents both minor and serious in nature. Therefore, it is in our interest to ensure that the constructor is having a liability insurance. Is his estimate reasonable and comprehensive? Before entrusting work to a contractor, ask him to provide an estimate. This is an elaborate document of details about work to be carried out which would include landscaping. In this he must mention his business license number, tentative time that would be needed to complete the work, sketches about the building and landscape, materials that would be needed along with specification, the schedule of work, estimate cost that would be involved and as well as the mode of payments for the project. One important aspect, which you should specifically look into, is whether it provides workers compensation program information. It is advisable that you procure three different estimates so that you can select the one that is most reasonable and has a familiarity with the local landscape. Being a legal document, get their estimates in writing so that they exquisitely state that terms, conditions and commitments. 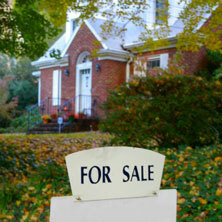 It is better that you always give preference to a contractor who is familiar with the local landscape. To sum up, the property managers of Calgary should perform a thorough research about the builder.